What’s Going on with Vegas Nightlife Tonight? 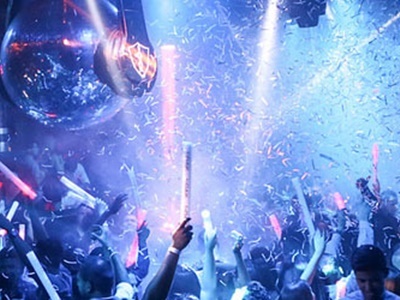 Las Vegas undoubtedly has one of the craziest nightlife scenes in the world. It’s no surprise that the bustling city receives more than 42 million visitors each year. From the lavish nightclubs with table service to the upscale bars and lounges, there’s never a dull moment. After dark, both locals and tourists alike hit the street to experience the incredible entertainment options available in Vegas. On any given night you’ll find DJs playing the latest hits, live musical performances on stage, and world-renowned shows. There’s always something going on in Las Vegas. The Las Vegas party scene is legendary and the local nightclubs are where most of these epic parties occur. Whether you’re looking to throw back a few drinks, listen to your favorite music, or meet a pretty girl, you’re sure to find exactly what you’re looking for at one of dozens of Las Vegas nightclubs. While there are plenty of great options to choose from, you’ll definitely want to check out Jewel at Aria Resort & Casino, 1OAK at The Mirage, Drai’s at the Cromwell, Hakkasan at MGM Grand, Light at Mandalay Bay, Hyde at Bellagio, Marquee at The Cosmopolitan, and Omnia at Caesars Palace. When the weather gets hot in Las Vegas, there’s no better place to be then the pool. While you can find pool clubs open throughout the day, the party doesn’t really get started until the late evening hours. These spacious venues feature a wide range of luxury amenities, including lounges, daybeds, bungalows, and cabanas. Entertainment at many of these clubs are also on point. Enjoy music by resident DJs and other visiting performers. Not sure where to start? 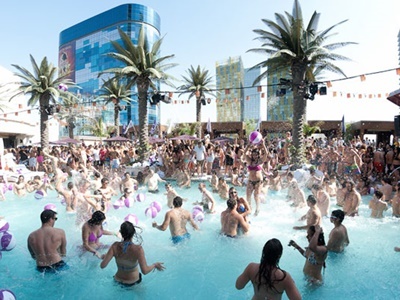 We recommend Encore Beach Club, Marquee Dayclub, Drai’s Beachclub, Wet Republic, or Bare Pool Lounge. Are you ready to grab an after work cocktail? Heading out on the town with a group of friends? 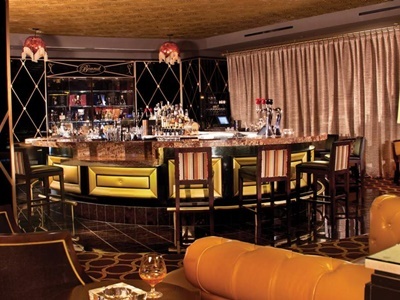 Las Vegas has dozens of incredible bars and lounges such as Herbs & Rye, Velveteen Rabbit, The Chandelier Bar at Cosmopolitan of Las Vegas, Oak & Ivy, and Bound at The Cromwell. While some patrons prefer to spend their evening relaxing in a single lounge, others prefer to hop from club to club to enjoy new people and services. Bars are generally easy to get into than most nightclubs and are often less expensive. Las Vegas is well known for its gentlemen’s clubs, and it’s an experience most try atleast once. While some of the city’s most iconic strip clubs like Olympic Gardens and Girls of Glitter Gulch have recently closed their doors, there are many other excellent options to choose from. Crazy Horse III is one of the famous strip clubs in Las Vegas, offering more than 40,000 square feet of space with plenty of stages spread out over several rooms. Other great adult destinations include Centerfolds, Sapphire, Little Darlings, Cheetahs, Palomino Club, Larry Flynt’s Hustler Club, and Spearmint Rhino. When going out for a night in Las Vegas, be sure that you’re prepared. Most of the higher end clubs in Vegas enforce a strict dress code, meaning you should dress to impress. Also be prepared to pay cover charges at many of the popular venues, or bottle service if you really want a fun and relaxing experience. Be sure to brace yourself for drink prices on the Strip. They are typically more costly than other areas of the state. If you want to ensure a spot for you and your group, be sure to call ahead and make a reservation or you may find yourself waiting in a long line.